NDRC, the investor in early stage digital and technology startup companies, is again partnering with Enterprise Ireland, and the Galway City Innovation District (GCID) to run the second successive intensive regional accelerator programme for digital companies in Galway and the Western region. The joint initiative between the NDRC, GCID and Enterprise Ireland is a key part of Enterprise Ireland’s programme to grow the number and quality of startups nationally. The new call was launched this week at the PorterShed and was supported by Minister of State with responsibility for Digital Development, Sean Kyne TD. 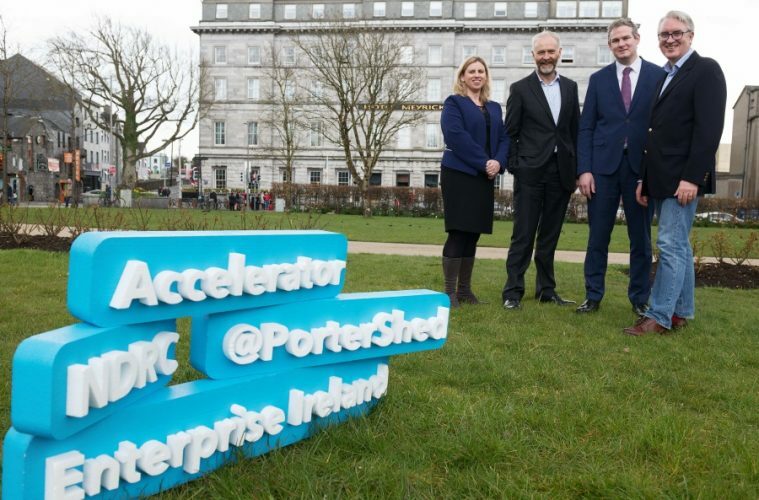 Following the success of the first NDRC at PorterShed programme, which ran during 2017 and saw Appraisee emerge as the winning startup, securing further follow-on investment, there will be up to 10 places available for successful entrepreneurs in the Galway-based accelerator programme. Entry will be through a competitive process designed to find and support those digital companies with the best potential for growth and expansion. Each successful applicant will receive investment amounting to €50,000 – of which €30,000 is a cash investment into their company and €20,000 is in programme service costs. The PorterShed, backed by AIB, is already a showcase for Galway’s vibrant tech startup scene, with working space housing 34 innovative companies and home to over 100 members, including hot desks for visiting entrepreneurs. “We are delighted to once again look to the West for more of Ireland’s entrepreneurial spirit, bringing our experience and expertise to a wonderful location in Galway. “We are very pleased to be working with Enterprise Ireland, Galway City Innovation District, PorterShed and AIB to support the development of new digital enterprises. Maurice O’Gorman, Chairman of the Galway City Innovation District said: “GCID are delighted to welcome back the NDRC team to PorterShed. “Our vision is to add high performing tech startups to the regional economy and with programmes like NDRC at PorterShed we are in a position to identify, accelerate and launch innovative technologies on to the global market stage. Applications to all NDRC Acceleration and Pre-Acceleration programmes can be found on www.ndrc.ie.